Apply Now for Jobs in Dubai 2019. Jobs in Dubai – Dubai is one of the most beautiful places in the world, the largest and most populous city in the United Arab Emirates (UAE). It is still a developing country but has grown tremendously economically. It has beautiful sights, tallest buildings and the cost of living is not high. Dubai is one of the places anyone would love to travel to and see the world in its beauty and embellishments. Getting a job in Dubai can be very difficult especially if you are unfamiliar with the customs or legal difference. Many ways of finding a job which is considered outdated in your country are still a valuable means of finding a job in Dubai. Finding a job with your visa requirements and an understanding of the business culture in Dubai will go a long way in helping you find a job. Jobs in Dubai are classified into two, government jobs and private jobs. In this article, you will get to know the differences between the two classifications of jobs, the job vacancies under the classifications and how to apply government and private jobs. When it comes to government jobs, the salary you earn is dependent on your position and class of employment. The salary is usually predetermined; therefore negotiating is hardly an option. So if you want a salary increment, the best option will be to look for a promotion or pray that the current policy is modified. For private company jobs, the salary varies according to companies and you have an option to negotiate a salary whenever you feel you deserve more. Large and esteemed companies will probably pay more than SMEs, but this is not always the case. You can always ask for a higher salary either during the interview or a few months into your job, unlike with government jobs. Remember that in government, there will be allowances and numerous benefits like insurance cover, so be wise in your deliberation. If you are looking for flexibility in your career, then government jobs are the best when it comes to flexibility. The job policy may require you to work from 8 am to 5 am, but implementing it is something else. In private companies, you may be required to work on your toes with time in and time out system. So if you are in for flexibility, all you will need in government jobs is to organize your schedule. And within the day you might find that you have a couple of hours to spare, especially because your duties are not as varied as in private companies. There are more limitations in working for the government than a private company when it comes to development. Government jobs are territorial and any ideas you may want to pass across may be subdued if the person above you in the hierarchy feels you are overstepping. But in private companies, new ideas are always welcome. The most important factor for all employees is the knowledge that their job is secure. No can fully have job security, however, government jobs are more stable than private company jobs. Once you have gone through your probation period and hired permanently, the grounds for you losing that job will either be bad behavior or when your government employer is laying off staff because of the economy. In private companies, being fired from your position can be as a result of a lot of issues. It could be because you are not Christian or Muslim enough for the organization, you are not performing as the boss would like you to (sometimes even the boss is not sure what they want) or maybe they feel that your department is not bringing in money anymore. But in government jobs, it’s all about providing services to the citizens of the country so no one will fire you for not making money. First Resort Global, a leading government company in Dubai is looking for an experienced Domestic Engagement Manager based in Dubai, UAE. Develops, manages, and delivers, structural cooperation programs between cluster organizations and knowledge institutions across Dubai and the UAE. Develops, conceptualizes, and manages various promotional campaigns for the Company’s sector including branding, advertising, social media, public relations, online marketing, commercial sponsorships, events, and exhibitions participation. Develops, manages, and promotes specific (government) support programs aimed at the attraction of ship owners and other key sector players to Dubai. Performs the role of the Company sector and spokesperson and grand champion. The official voice of the sector in Dubai. Develops, manages, and executes crisis management and communications plan for the Company sector, involving the main stakeholders from the local and federal governments in the public sector, and from the trade and leisure sides of the private business alike. As a representative of the Company, provides advice to the Government of Dubai, on the development and coordination of policies and related matters of the Shipping and Shipping Services so as to support the creation of a sustainable and competitive sector for the Emirate. Increases collaboration between shipping companies, stakeholders, and their network outside the cluster, in areas such as land and air connectivity and logistics across Dubai and the UAE. Must have knowledge of the local maritime market, marketing principles and techniques, State and Federal Laws, statutes and regulations. Open to male Emirati national currently based in UAE. Exceptional at networking, initiating, building and fostering relationships. Communicates well, has clarity of expression with good listening and perception skills. British American Tobacco has a new exciting opportunity for a Regulatory Affairs/Engagement Manager to be based in our office in Dubai who will cover mainly the business in the Kingdom of Saudi Arabia. Understand business priorities and develop and execute accordingly appropriate engagement strategies and plans. Ensure marketing activities & various business activities are compliant with Laws & Regulations and group policies, positions & standards. Contribute to providing regulatory input to relevant business meetings. Contribute to developing and executing campaign plans related to tobacco regulations, excise on tobacco products, anti-illicit trade, free trade, New Generation Products (NGP) and all other aspects of tobacco control. Obtain and communicate information & news from various available sources (stakeholders, media etc.) that drives towards a clear, actionable view of the regulatory & excise future. Support various functions as needed in requests that involve external engagement and regulation reading. Anticipate the direction and implications of regulatory developments and contribute to the availability of regulatory solutions ahead of time. Develop/provide to the ME External Affairs Manager proposed positions on key regulation issues, together with supporting argumentation to drive quality of engagement. Leading multinational consumer business is currently on the lookout for a Public Affairs & Government Relations Manager based in Dubai. Managing the business’ relationships with legislative stakeholders. Delivering the company’s position on economic developments. Developing the company’s position and views on tax issues and other regulatory developments. Defining a long-term strategy for community investment projects. Developing and implementing an internal communications strategy utilizing key communication tools, as well as corporate events to communicate the company’s values, key issues, and strategic messages are effectively communicated to internal in a factual and reasonable manner. Developing a strong network with internal stakeholders. Proven experience and accomplishments which have had a significant impact on a business. Clear demonstrations of leadership where people stepped up and made an impact. Excellent interpersonal and presentation skills with strong relationship building skills. With exposure and extensive knowledge in Taxation and has a strong initiative to achieve the desired outcome. Only Arabic Speakers will be considered this time. Handle the processing of various applications, including visa applications, renewals, sponsorships, and ensure their timely and proper handling and finalization. Responsible for all aspects of Visa operations, such as issuing, monitoring, and distribution, also preparing and checking all legal documents to ensure that all the information provided is correct and accurate. Handle general online queries, emails, and calls related to Government Services to ensure resolutions and responding back to the customer in a timely manner. Reports to immediate supervisor issues that may arise in case of inability to handle those my own self to ensure their efficient resolution before they escalate into a serious problem. Diploma or Bachelor s degree in Business or any related field. Minimum 3 years of experience in Government Services or related role. Fluent in English and Arabic (Written and Spoken). Customer service skills and the ability to handle diverse customers. Ability to demonstrate a successful track record. Knowledge of local rules and regulations. Clients of Binding Partnerships are recruiting Investment Analysts for their private equity clients. Management of financial, commercial and legal due diligence processes of targets. Preparation of presentation materials, term sheets and letters of intent. Proactive monitoring and management of portfolio companies. Degree from a top-tier institution. 2+ years of experience in Investment Banking / Corporate Finance advisory and/or Private Equity. Entrepreneurial mindset with a willingness to take ownership. Strong financial modeling and analytical skills. Languages: English; Arabic would be helpful. Millennium Hotels is currently recruiting to fill the position of a Sales Manager. Promote the property’s rooms, outlets, events and activities to corporate clients. Generate sales lead and convert to materialize business to achieve business objectives. Maintain a high standard of client servicing and establish contact with corporate decision makers and employees at other levels within the organization. Provide feedback on market conditions and trends within the competition set, through regular sales call/visits. Maximize business opportunity by using proper selling strategies and negotiations. Possess a valid UAE Driving License. Minimum 2-years experience in the same role, preferably holding a corporate client base within the Deira area. D Souza, a private company in Dubai is in need of a full time experienced sales coordinator. Ideal applicants should have knowledge of tally ERP to help in counting total numbers of sales made in a day. Preferred candidates should have a good spoken English to help in easing communication between the managers and the clients through convincing them. Selected applicants should have a knowledge of MS Office skill to help in making soft copy work and also printing out organized work. Candidates should have knowledge of sending quotations to the managers on the required goods and products that should be brought for sale. Applicants should have a well organized an responsible with an aptitude in problem-solving for any complicated issues. Ideal candidates should have good computer skill and also a BSc in business administration or relevant field. Henley & Partners is currently recruiting to fill the position of a Client Advisor in Dubai. Meet and exceed the jurisdictional annual revenue targets. Develop new business leads with maximized conversion rates. Collaborate with Client Relationship Managers to provide a world-class client experience during the entire sales journey. Undertaking initial KYC checks to assess client suitability and mitigate exposure to operational risks. Assisting clients with making the right considerations by presenting the most suitable solutions. Researching, preparing and executing high-impact meetings with potential introducers, partners and clients. Minimum of 5 years’ experience within the Business Immigration industry, Customer-Facing Investment, Insurance, Private bank or Wealth Management. Superior written and verbal communication skills; ability to create and present proposals. Ability to represent company and network at relevant conferences and events. Strong research and analytical abilities to understand the industry. Ability to build rapport and foster collaborative partnerships. 1. Create an account, and enter your contact details, academic information, and your resume. 2. Log into your account to apply. 3. Sign up for job alerts. This will immediately send an email to alert you about open positions that are suitable for your profile. 4. Check federal government and different department social media accounts; they may use Facebook, Instagram, and Twitter to promote job openings. 5. Visit www.government.ae/en/resources/government-jobs to find a list of available jobs. 6. Ensure that the closing date has not passed. Nevertheless, some job postings have no closing date because there is ongoing continuous recruitment. 7. Before you apply to a job ad, follow all the instructions and read the job ad carefully to make sure you meet all the essential qualifications listed. Be clear and precise in your application. 8. Ensure to submit only what is required. Submit a cover letter only if requested for. If you are asked to submit a cover letter, make sure the information on your resume matches the information on your cover letter. 9. The next step that would follow is assessment, which may include an interview, testing, and reference checks. 10. A job offer will be made to the successful candidate, or the competition may be used to set up a pool of candidates to be hired for multiple positions. Ensure that your e-mail service does not have a filter that could block emails from the public service. If you’re planning to work in Dubai, you’ll need a work visa. Because a work visa is required, it’s easiest to head to Dubai after you’ve been offered a job position. Also, it’s possible to enter the emirate on a visitor or tourist visa for your job search and then transfer your visa status once you’ve found employment. You’ll be required to submit your medical records, passport copies, photo, job offer letter and visa application to the Department of Health and Medical Services. You’ll also have to get a blood test to rule out diseases like HIV, Hepatitis C, and tuberculosis. Also, you’ll need a labor card which involves sending your passport photo, employment contract, entry visa, medical records and your employer’s labor license to the Ministry of Labor. To get a better idea of what companies are hiring in Dubai, www.bayt.com a favorite among Dubai job-seekers is a good place to start. This is the most important tool in your job search. Dubai’s job market is extremely competitive, and on average, a recruiter will only spend six seconds checking out your resume. It is important to avoid using exhortation. 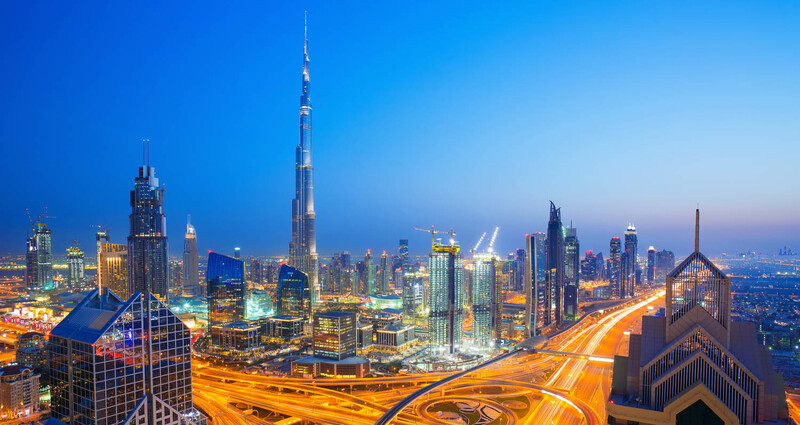 Dubai is known for hiring internally and among employee-referenced candidates. If you know someone inside the company, you’re up to 6.6% more likely to land the job. In conclusion, you can see that government jobs are different from private jobs and they have more benefits than private jobs. I hope with the information provided, you will be able to choose wisely and apply for your job of interest. The content on this site is posted with good intentions. If you own this content & believe your copyright was violated or infringed, make sure you contact us at tmlt[email protected] to file a complaint & actions will be taken immediately.